Bonus, it’s so easy to make! All it takes is a little chopping and simmering, and in less than 30 minutes, “Soups On!” To save time, I like to use pre-cut butternut squash. My local Trader Joe’s has adorable crinkle-cut butternut squash that makes the dish even more appealing. 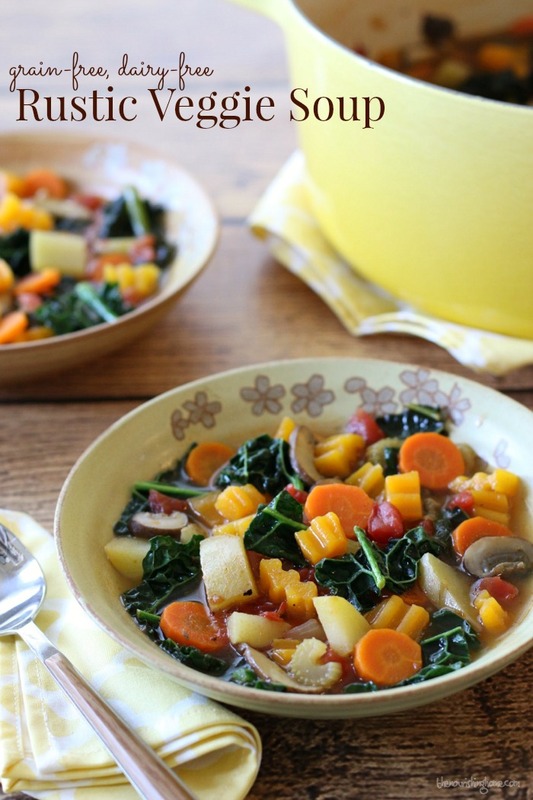 I also use pre-cut organic kale; a big bag from Costco makes it easy to use for this recipe and more! This tasty, hearty meal is definitely a family favorite, which is why you’ll be seeing this recipe in my meal plan rotation. Speaking of meal plans, if you’d like to receive my free weekly whole food meal plans, you’re cordially invited to subscribe to The Nourishing Home. As a subscriber-friend, you’ll receive delicious healthy recipes and my free exclusive whole food meal plans. It’s part of the ministry here to help individuals and families live a more nourished life in thanksgiving to God! P.S. 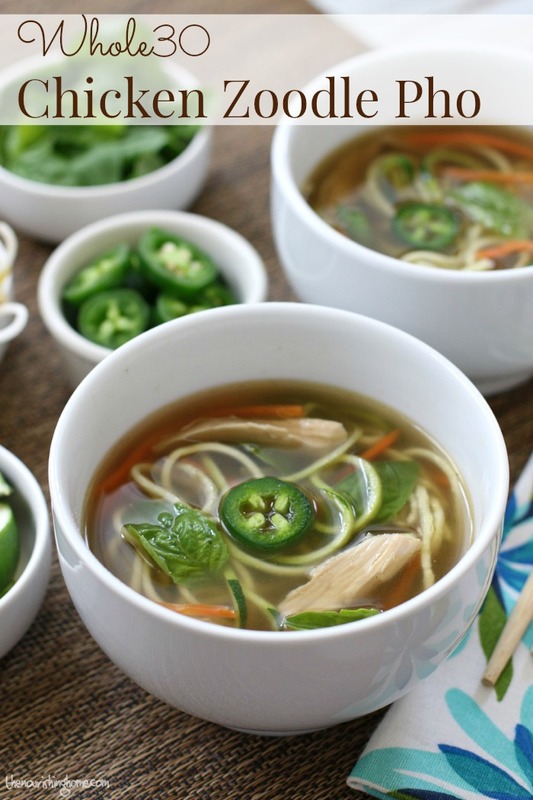 The beauty of this recipe is also its versatility. The fire-roasted diced tomatoes paired with homemade chicken stock and a classic mirepoix of diced onion, carrots and celery form a flavorful base from which you can add your favorite seasonal veggies for a delicious soup personalized for you! In a large stock pot (or dutch oven) over medium-high heat, add the ghee and olive oil. Then, add the onion, carrots and celery. Sauté until onion begins to soften (about 2-3 minutes). Add the garlic and mushrooms, continuing to sauté until mushrooms soften (about 1-2 minutes). Next, add the chicken stock, dice tomatoes, potatoes, butternut squash, salt and Italian seasoning. Turn the heat up to high to bring the soup to a boil, then reduce heat to a simmer. Cook soup 5 minutes. 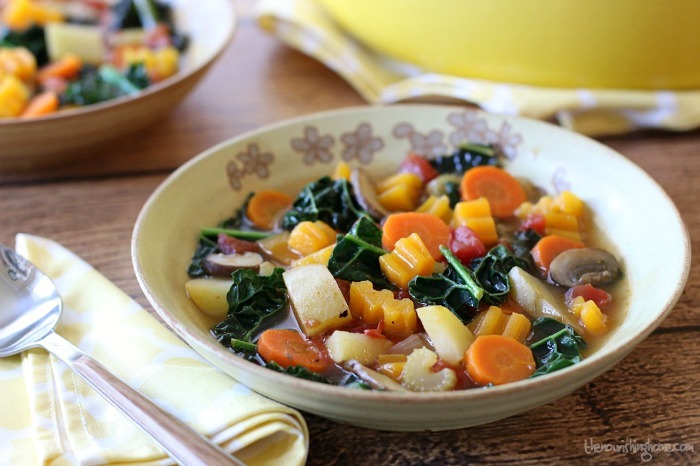 Then, add the kale and allow soup to simmer an additional 15 minutes, or until potatoes and butternut squash are fork tender. 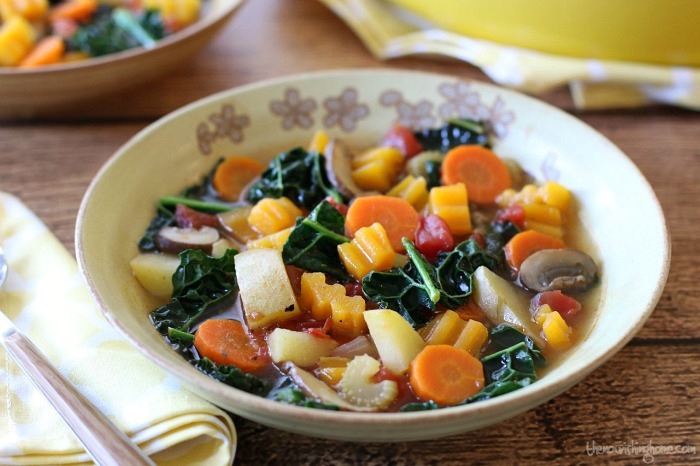 This flavorful veggie soup is delicious on its own, or toss in some leftover roast chicken, pulled pork or grilled shrimp during the last 5 minutes of cook time for an even heartier meal! 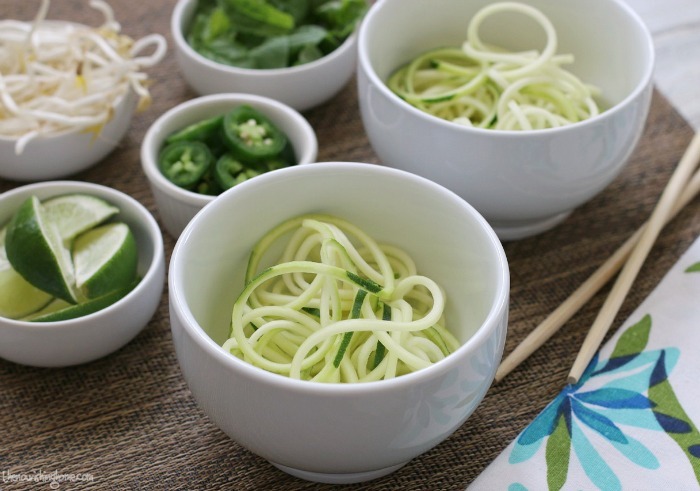 Welcome to Part One of a delicious new recipe series … 3 Meals with 1 Main Dish! As we all know, one of the biggest challenges to maintaining a healthy whole food lifestyle is time! That’s why I’m excited to launch this helpful series featuring one of the easiest “Cook Once, Eat Twice or More!” strategies for saving time in the kitchen – batch cooking! Batch cooking is simply making a large quantity of a particular food and using it to make multiple meals. This week, we’re putting this awesome time-saving strategy to work with my favorite Slow Cooker Roast Chicken. When it comes to slow cooking a whole chicken, I’m all about getting the biggest bird I can afford (and will fit in my slow cooker). Cooking a big bird means lots of meat for making quick-n-easy weeknight dinners like the ones featured below. 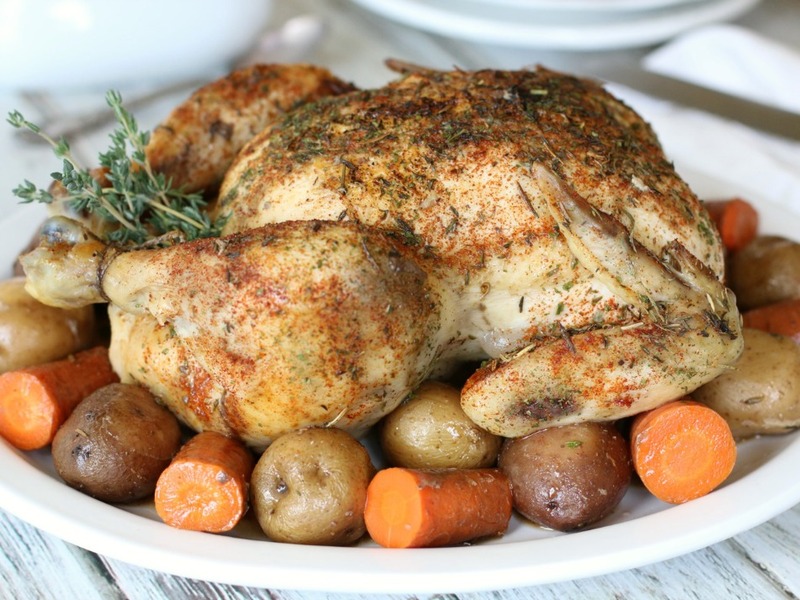 Of course, this easy Rotisserie-Style Slow Cooker Chicken makes a delicious dinner paired with a bed of garlic-infused root veggies. However, I frequently slow cook a whole chicken on the weekend for the sole purpose of saving the meat for future meals, since a 6-pound whole chicken yields about 7-8 cups of shredded meat! Plus, it’s so easy to toss the bones back into the slow cooker to make a nutritious bone broth perfect for soups, stews and more! 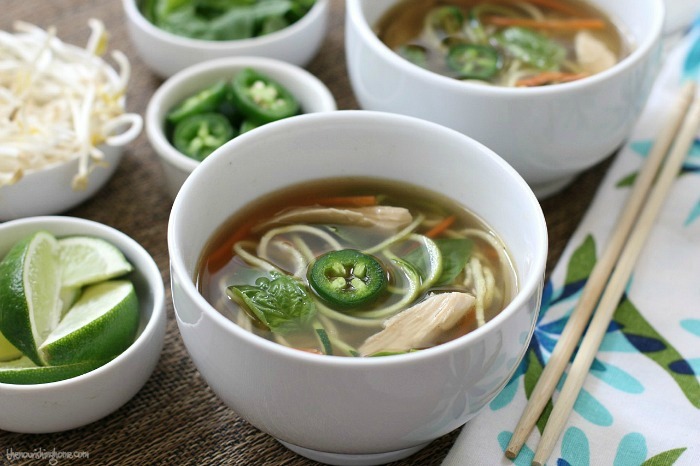 Chicken Zoodle Pho Bowl – A symphony of fresh flavors! 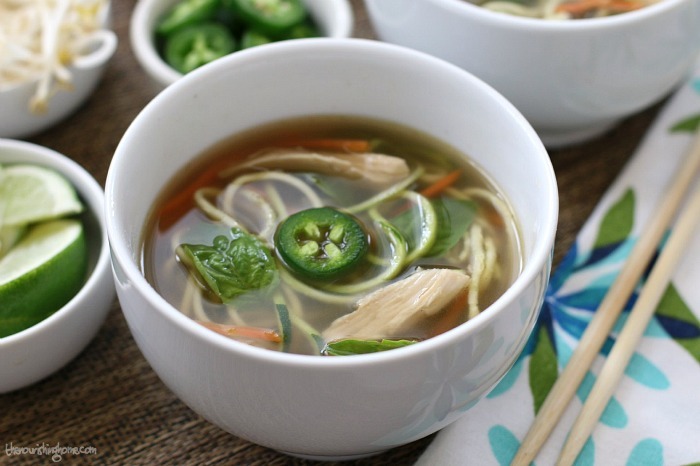 This rich broth paired with roast chicken, fresh herbs and a squeeze of fresh lime – along with the slight heat of jalapeño slices and the crunch of bean sprouts, zoodles and shredded carrot – is truly amazing! 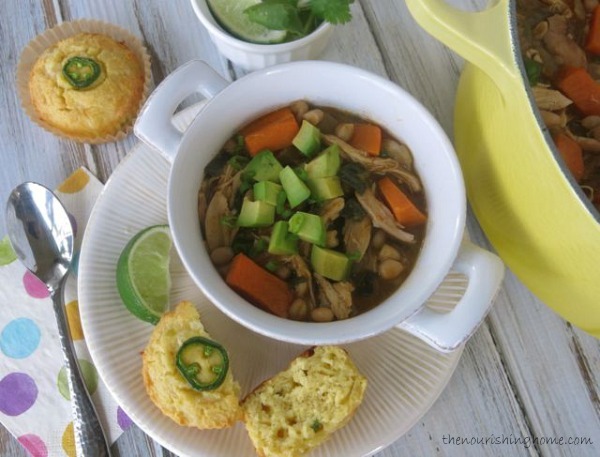 Roasted Chicken Chili – This tasty chili-style stew is a great way to use roast chicken, and is packed full of spicy, yet mellow flavors! To make this delicious chili Whole30-friendly, simply omit the white beans and add diced zucchini and/or sweet bell pepper instead! 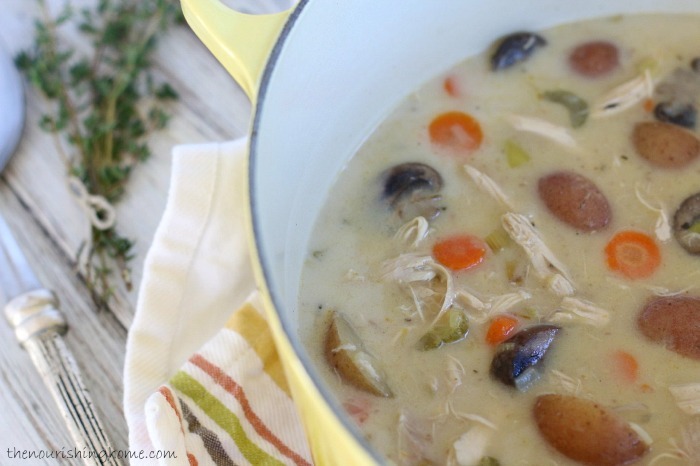 Creamy Chicken & Veggie Soup – This easy one-pot meal is another delicious way to use shredded roast chicken (or turkey). 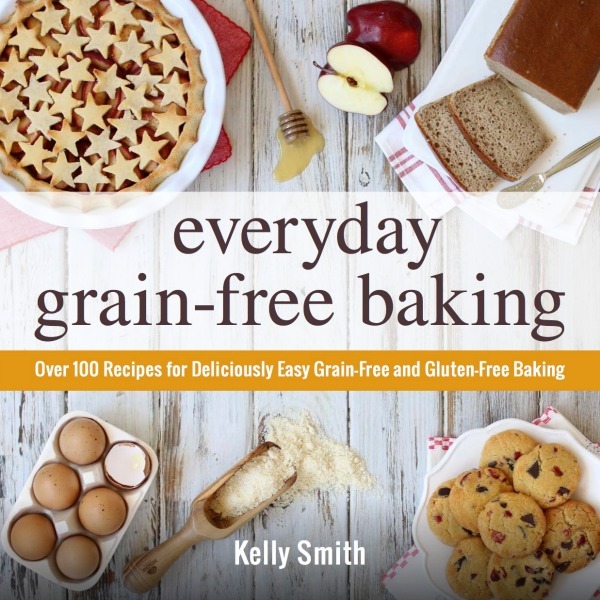 This recipe also reveals my secret for achieving a creamy, rich flavor without using a single drop of dairy. • Chicken Salad Wraps – fresh greens wrapped around a tasty chicken salad filling. • BBQ Chicken Sliders – mix shredded roast chicken with your favorite BBQ sauce (if you’re doing Whole30, be sure to use a Whole30-compliant BBQ sauce) and serve it on top of tasty Sweet Potato Buns. • One-Skillet Savory Chicken – save time by tossing in leftover shredded chicken in this simple one-skillet meal! 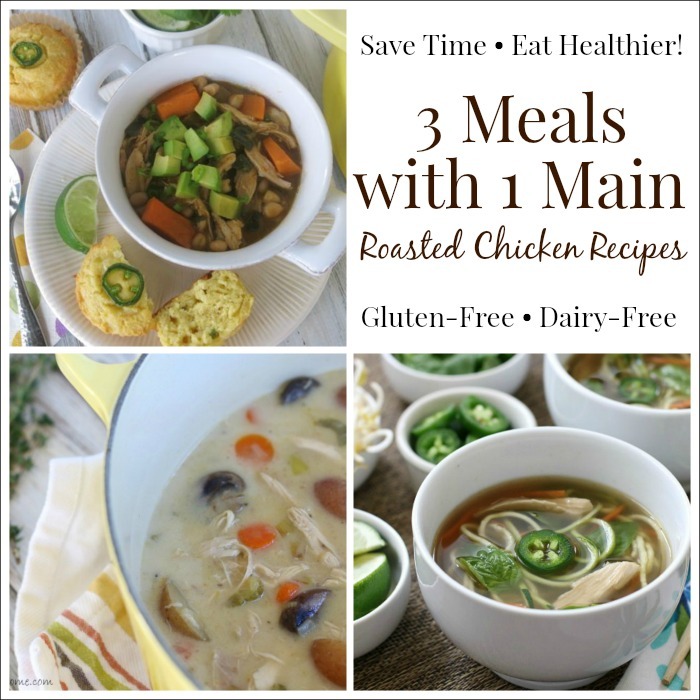 Three cheers for three meals made with one main! Be sure to check out Part Two of the series where you’ll discover how to create three delicious meals using tasty ground turkey. And in Part Three of the Series you’ll to learn how to create three delicious meals using slow cooker pulled pork. Yum!